After healing session, pay here. Linda has worked in the field of alternative healing for over 25 years. 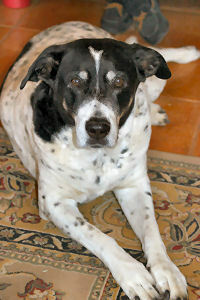 She is the founder of "Journey to Healing", where she makes her healing skills available for both people and animals. With her natural psychic and intuitive abilities, clairvoyant insights and compassion, Linda offers individual healing sessions as well as classes and workshops in the healing arts, personal growth and developing one's own spiritual gifts. Linda has many years of training, study, and experience in both the healing arts and in spiritual studies, and holds certifications from the Quantum Healing Center, the Institute of Health and Healing, the International Breath Institute, and the Wildfire Holistic Animal Healing Center, as well as being certified as a Reiki Master/Teacher, an Animal Communicator, a Spiritual Path Finder and a Quantum Coach, she has reached the level of master studies in the Inner Wisdom Mystery School. She has also studied with a traditional medicine healer. 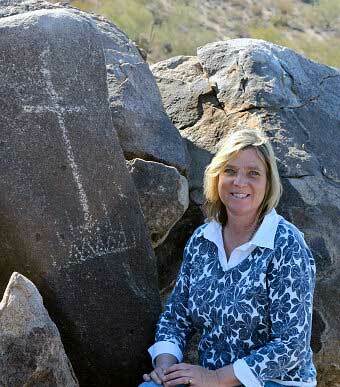 Linda taught animal communication and healing classes through Pima Community College in Tucson, Arizona from 1998-2012. She now offers many telephone conference classes, provides monthly workshops and series, Healing Retreats with Whales and Dolphins, and Personal Growth Retreats. Linda's amazing depth and breadth of expertise includes a wide array of healing techniques and modalities, including PSYCH-KTM, Emotional Freedom Technique (EFT), Soul Memory Discovery, breath work, Reiki, and Arcturian Healing among others. Additional support may be offered through color or sound healing, flower essences, the use of crystals or river stones, past life regressions and shamanic healing. Linda has the experience of working with thousands of clients, both human and animal. She is committed to offering support and guidance to others on their journey of growth in a fun, gentle and inspiring manner, using her gifts to help create balance and healing, one person, one thought, one animal at a time. Linda's work has been featured in numerous magazines, newspapers, television, and radio. She lives on a desert ranch near Tucson with her family and dogs, cats, horses, burros, chickens, birds, and many wild animal visitors, all of whom are willing to help students learn to communicate with them. Linda host's the 'News for the Soul Program' the first Thursday of the month at 2:00 PM, Pacific Time. News for the Soul is a life changing talk radio from the uplifting to the unexplained. NFTS Radio Network explores whatâ€™s really real and whatâ€™s really possible with interviews featuring luminaries in the consciousness field and new bright lights from around the world. Click on the image to Listen Live. Once on the NFTS website click on the the purple button, top right corner, saying "Listen Live" to access live feed. If NFTS is not live in the moment, the player will cue up and play the most recent live broadcast. You can type "Linda Johns" or "Journey to Healing" (not case sensitive) in the search box to get to Linda's archive broadcasts. The call in number for regular callers to the show is (646) 595 4274. Your info will be kept private; gdpr compliant. or click the button to schedule appointment online. Gift certificate can be used by one individually or given as gifts.